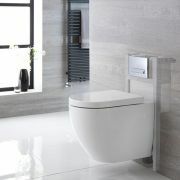 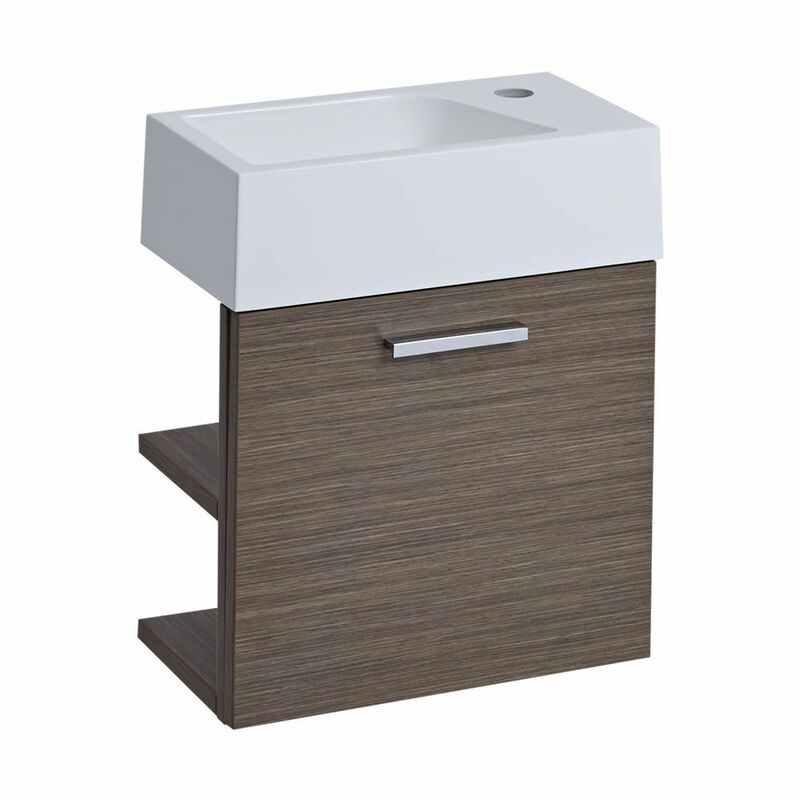 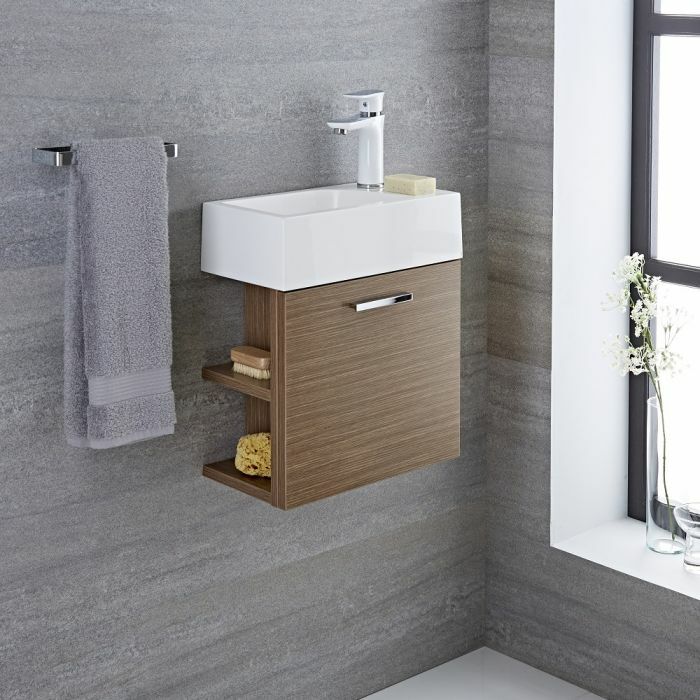 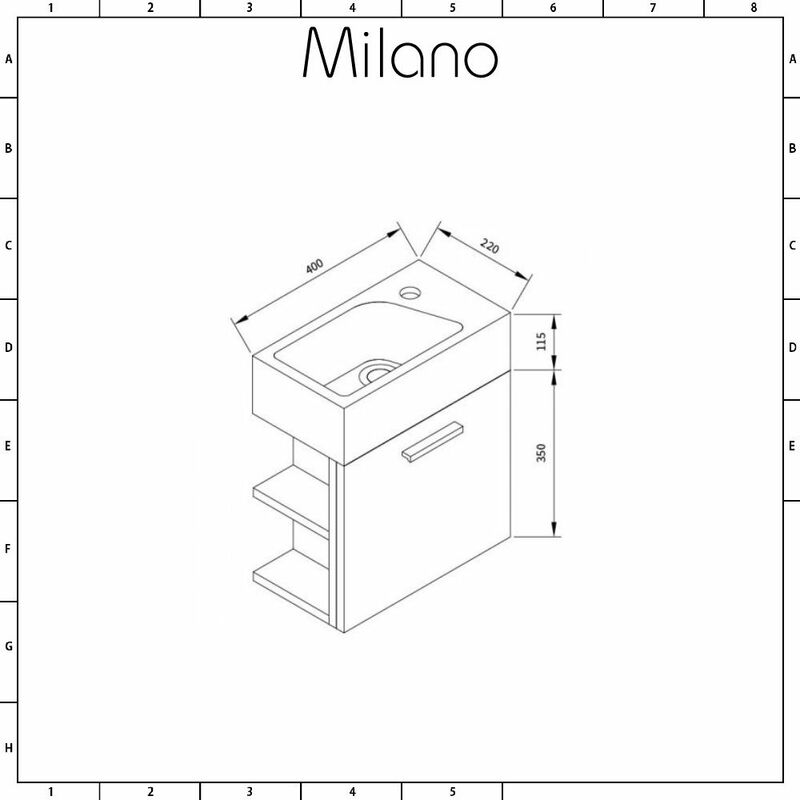 Introduce a clever and stylish storage solution into your small bathroom or cloakroom with the wall-mounted Milano Linley 400mm vanity unit and basin. 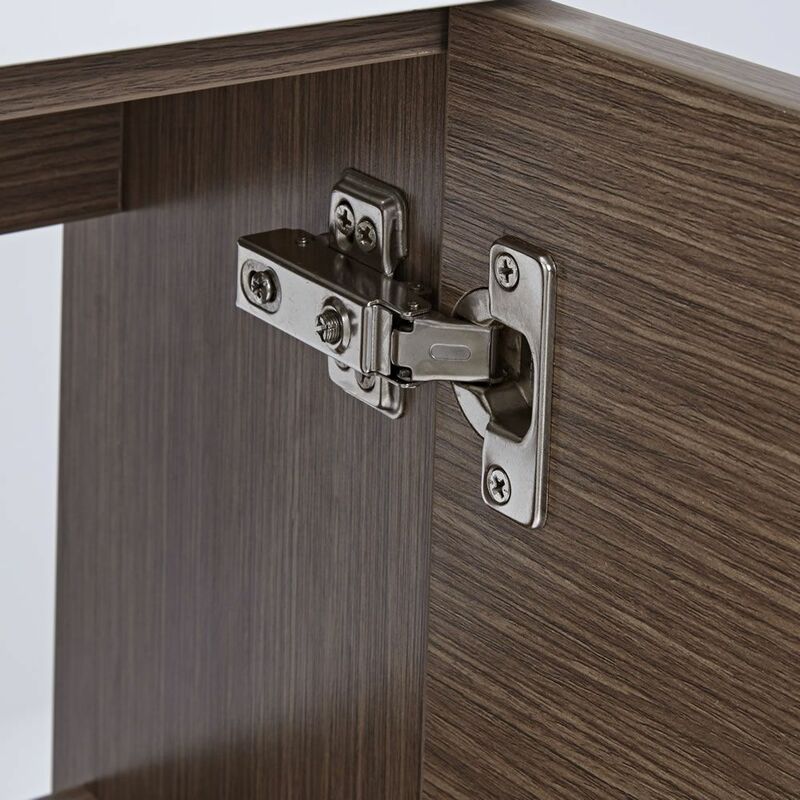 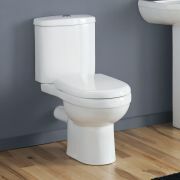 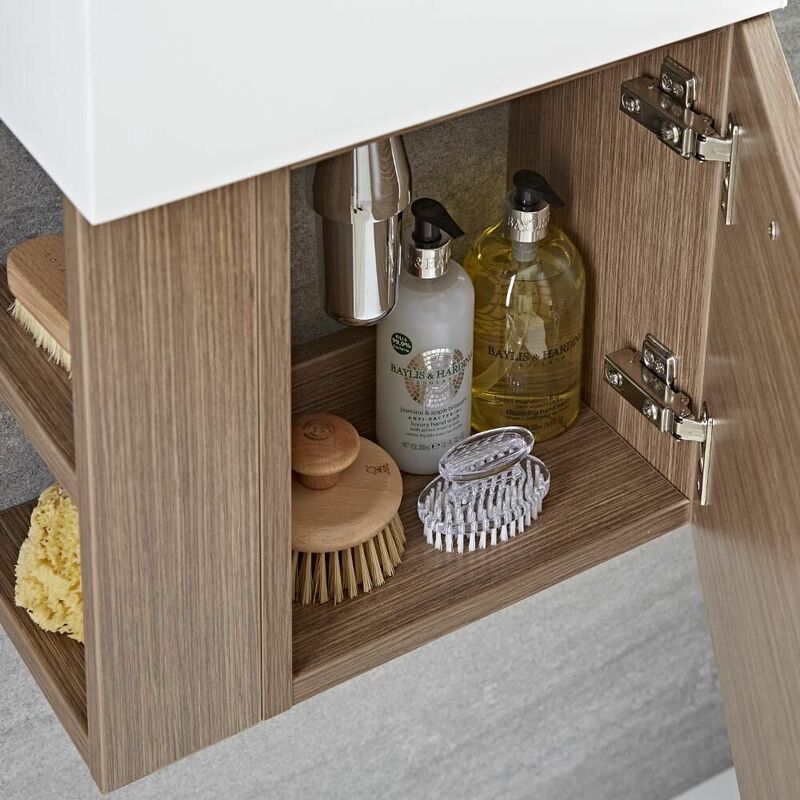 The space-saving design includes a cupboard with a soft close door and polished chrome handle as well as two open shelves for easy access to your bathroom essentials. 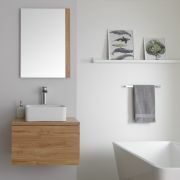 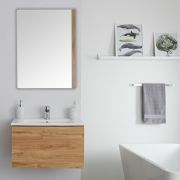 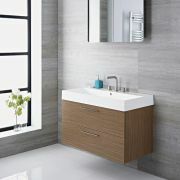 The moisture resistant engineered wood with an eye-catching textured oak woodgrain finish ensures that the Linley vanity unit has both strength and a long-lasting durability. 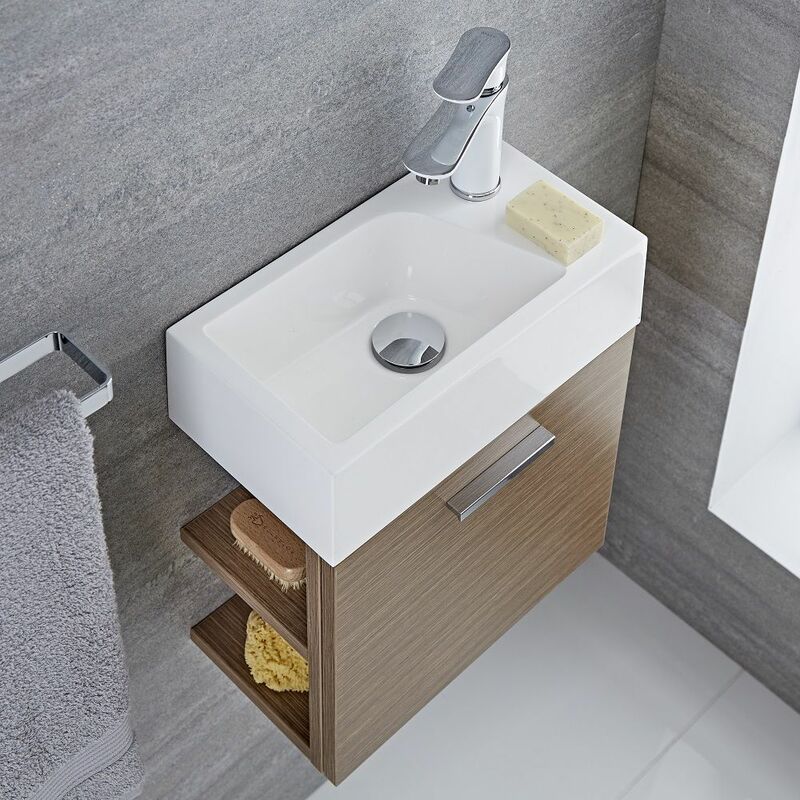 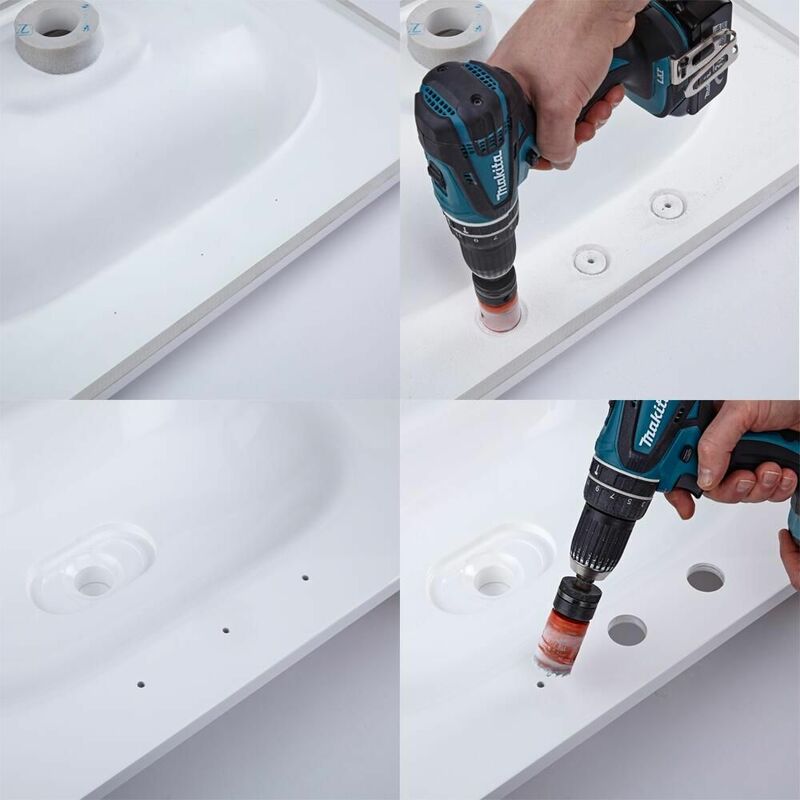 The contemporary basin, with its sleek design, is made from polymarble with a gel coat surface for easy cleaning and features a single tap-hole allowing you to select the mono tap of your choice from our range. 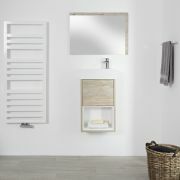 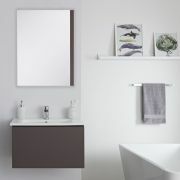 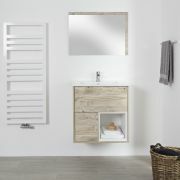 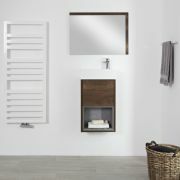 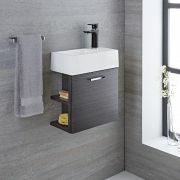 Continue the theme in your bathroom by pairing the vanity unit with matching items from the Milano Linley oak range.